Punching shear is an especially important design consideration for relatively thin slabs supported by columns. 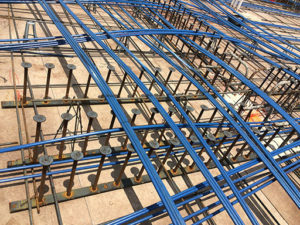 Thin slabs require additional reinforcement at the slab-column connections to resist punching shear and prevent the columns from ‘punching’ through the slab. Stud Rails can eliminate the need for column capitals. Forming column capitals can be time and labor intensive which increases construction duration and cost. Column capitals reduce headroom and cause major aesthetic changes for architects. Stud Rails can eliminate the need for stirrups. Stirrup cages create reinforcement congestion and complicate the installation of PT tendons, conduit, etc. Studies and testing show that stirrups are less effective than Stud Rails in resisting punching shear due to the lost capacity at the bends of the stirrups. Stud Rails are proven to be an efficient solution for punching shear as they are relatively inexpensive to manufacture and easy to install. 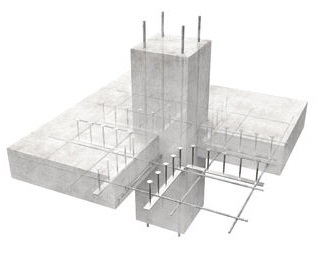 Stud Rails increase design flexibility and provide the reinforcement necessary at slab-column connections. 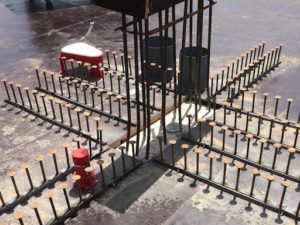 The studs are welded to the base rails in accordance with the American Welding Society (AWS) in an ICC ES audited facility and the finished product conforms to the latest update of ASTM A1044. 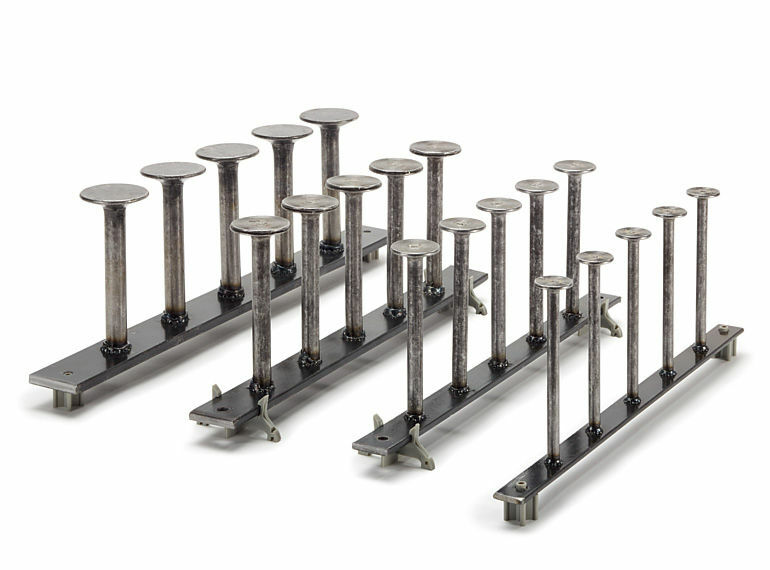 Advanced Post-Tension has vast experience with punching shear reinforcement and we supply stud rails with our post-tensioning systems. Contact Advanced PT today.